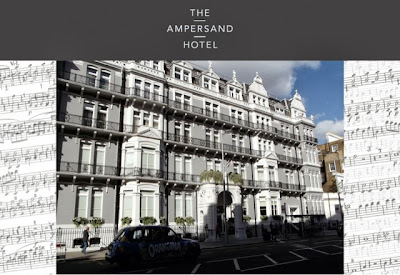 The Ampersand Hotel is a quirky, boutique Hotel located practically opposite South Kensington tube station in London. It's known for its wonderful interior design and its superb location, so I was excited to experience their equally wacky Afternoon Tea! Running for a limited time only, (until the 21st March) I was lucky to get in quick and experience the magic of Science! My friend and I had a lovely table by the window and the service began promptly with a glass of champagne and the taking of our tea order. 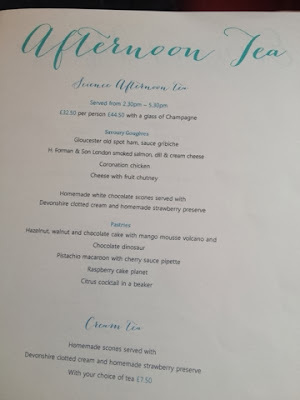 I opted for the Jasmine blend whilst my companion had a fresh mint tea at the recommendation of the server, who also managed to delay the tea service until we'd finished our glass of bubbly. And so to the main event! The three tired stand arrived and stood proudly on our table, with dry ice flowing freely from the top, adding to the anticipation and to the magic. The sandwiches were unusually created using choux pastry buns, which were delicious and a nice change from the normal finger variety. My favourite fillings were the coronation chicken and the smoke salmon that also included a little salmon roe on the top - delicious. The scones were equally as tasty, consisting of one plain and one white chocolate scone each, served with jam and clotted cream. There actually wasn't enough jam served with these, but this was probably a good thing as it meant that I didn't finish the whole portion! On the top tier was the sciency part, featuring chocolate dinosaurs, a brightly coloured drink in a test tube and a pistachio macaroon with raspberry coulis served in a pipette. It was visually very stunning and the taste was actually pretty good too. Unfortunately I was far too full to finish everything off completely, but I did get to try all that was on offer and I came out feeling satisfied. All in all, The Ampersand has had a good go at a themed afternoon tea and have managed to combine something that looks good with something that tastes good, which can sometimes be difficult! 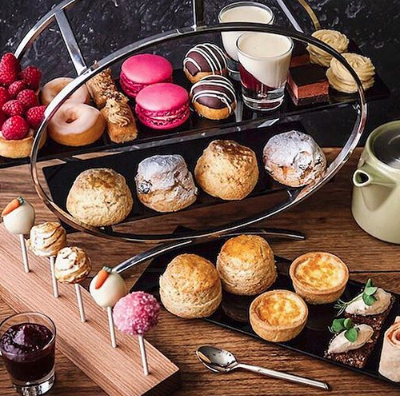 I'd like to return to taste their traditional afternoon tea as I'm sure that this is also delightful, but it's also worth just popping by for a coffee and sampling one of the many fresh cakes, pastries and biscuits that they have temptingly on display! For more information and prices, please visit the Ampersand website here. Written by Amy Sefton of 'Never Fully Booked': Never Fully Booked started out as a place to review and document the books I’d read, but soon ended up being more of a place to post about travel and Afternoon Tea! The blog now seems to refer to the places that I visit and my hope that they are indeed, never fully booked! I am trying this tea on Saturday and I can't wait! 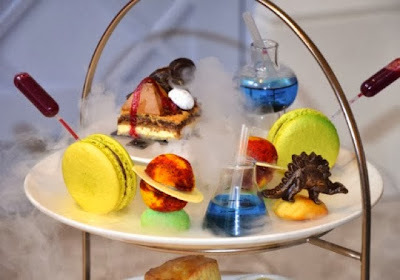 I think its probably Pastry Chef Ji Sun's best afternoon tea creation so far! Ooh how did you like it?